One of the problems with passwords is that users forget them. In an effort to not forget them, they use simple things like their dog’s name, their son’s first name and birthdate, the name of the current month- anything that will give them a clue to remember what their password is. For the curious hacker who has somehow gained access to your computer system, this is the equivalent of locking your door and leaving the key under the doormat. Without even resorting to any specialized tools a hacker can discover your basic personal information- name, children’s names, birthdates, pets names, etc. and try all of those out as potential passwords. You should never use personal information as a part of your password. It is very easy for someone to guess things like your last name, pet's name, child's birth date, and other similar details. 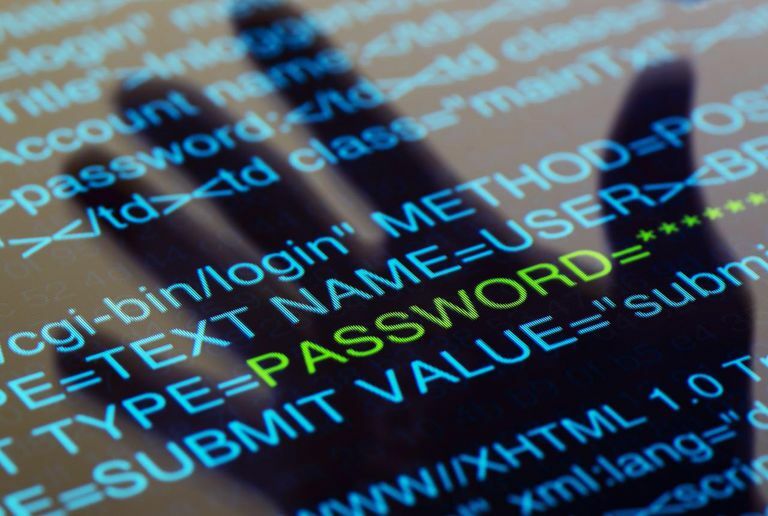 There are tools available to help attackers guess your password. With today's computing power, it doesn't take long to try every word in the dictionary and find your password, so it is best if you do not use real words for your password. You can make a password much more secure by mixing different types of characters. Use some uppercase letters along with lowercase letters, numbers and even special characters such as '&' or '%'. Rather than trying to remember a password created using various character types which is also not a word from the dictionary, you can use a passphrase. Think up a sentence or a line from a song or poem that you like and create a password using the first letter from each word. For example, rather than just having a password like 'yr$1Hes', you could take a sentence such as "I like to read the Lifewire Internet / Network Security website" and convert it to a password like 'il2rtA!nsws". By substituting the number '2' for the word 'to' and using an exclamation point in place of the 'i' for 'Internet', you can use a variety of character types and create a secure password that is hard to crack, but much easier for you to remember. Another way to store and remember passwords securely is to use some sort of password management tool. These tools maintain a list of usernames and passwords in an encrypted form. Some will even automatically fill in the username and password information on sites and applications. Use different passwords. You should use a different username and password for each login or application you are trying to protect. That way if one gets compromised the others are still safe. Another approach which is less secure, but provides a fair tradeoff between security and convenience, is to use one username and password for sites and applications that don't need the extra security but use unique usernames and more secure passwords on sites such as your bank or credit card companies. Enforce stronger passwords: Rather than relying on every user of the computer to understand and follow the instructions above, you can configure Microsot Windows password policies so that Windows will not accept passwords that don't meet the minimum requirements. Is Your Password Strong Enough? Need to Create a New Yahoo Mail Account?